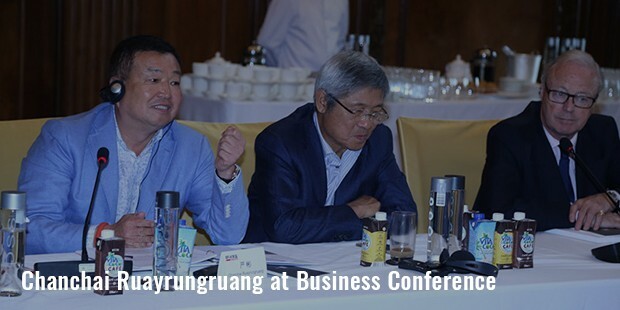 Chanchai Ruayrungruang is a leading name as a Chinese-Thai businessman having strong foothold in the real estate market of the country. 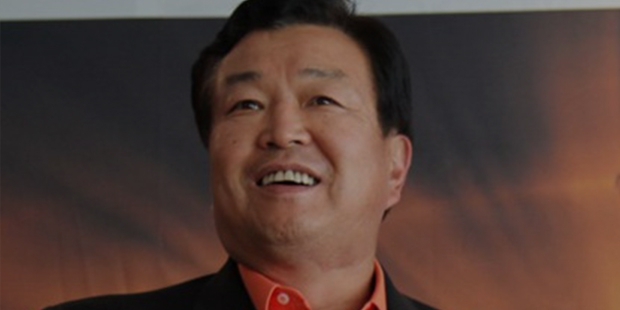 Chanchai is the leader of the privately held Reignwood Group. Founded in 1984, the Reignwood Group in Thailand has been a dream project for Dr. Chanchai Ruayrungruang. The initial activities for the group were in general trading and tourism related sectors but the firm flourished quickly which almost necessitated the opening of the other offices of the company in Beijing and Hong Kong. Chanchai Ruayrungruang was born in Shandong which is a coastal province of Yan Bin. In the 1980s he shifted to Thailand with his family. Soon after his emigration, he started off doing business in and after the tasting success, he returned to China in 1990. Here he started off as a multifaceted businessman which his different segments of interest like in the travel industry, travel agency, real estate developments, trading computers etc. Even after more than 31 years since its inception, Reignwood Group remains as a multinational enterprise with its interest in diverse segments of industries. Singapore, United Kingdom, Thailand, United States and Canada have the branch offices. All of these branches continue to be vital contributors in terms of expanding the international brand presence and hence strengthening Reignwood as one of the leading International Chinese enterprise.In 1995, Chanchai brought the energy drink Red Bull from Thailand to China. In 1998, the Wonderland Amusement Park, which is a replica of the Disneyland near Beijing, was started but abandoned it at the end which left the land around those decaying castles to be reclaimed by the local farmers. The Pine Valley Resort in Beijing which is China’s largest golf resort was built in 2000 and caters to a certain crowd. 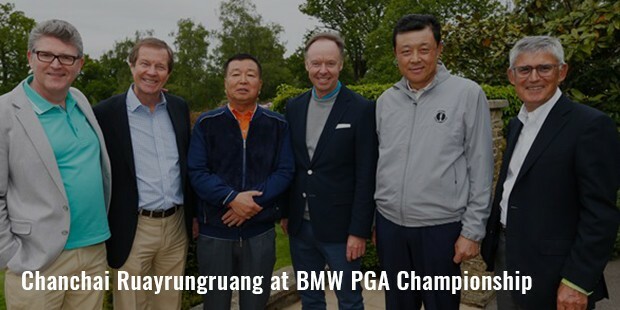 This golf course received the “Multimillionaires’ Most Favourite Golf Course in Beijing" award in 2009.Apart from serving as the Chairman of Reignwood Group, Chanchai served as Chairman for Asia Golf Courses Owner's Association. China Foreign Corporate Association has him as their Vice Chairman. Elected by World Outstanding Chinese Entrepreneur Association, Dr. Chanchai won the 10th place of the '2009 Global top 500 Chinese Entrepreneur'. In 2014, Reignwood expanded its international real estate portfolio by paying more than $500 million in London as well as in the Hawaiian island of Kauai for real estate. 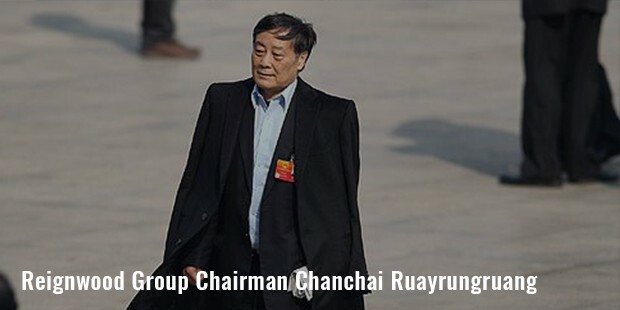 As of April 2015, Chanchai Ruayrungruang has an estimated net worth of $2 billion as reported by Forbes. Whenever Chanchai addresses press, he never forgets to thank all customers for the support and warm following from all social circles & occupations, which have helped his company Reignwood Group, fight all the challenges that it faced. In his own words, "China has maintained stable policies of opening up and reform, as well as having a favourable investment environment to stimulate rapid economic growth throughout the country" and Reignwood Group has proved to be active and persistent in terms of international trading relations and investments. 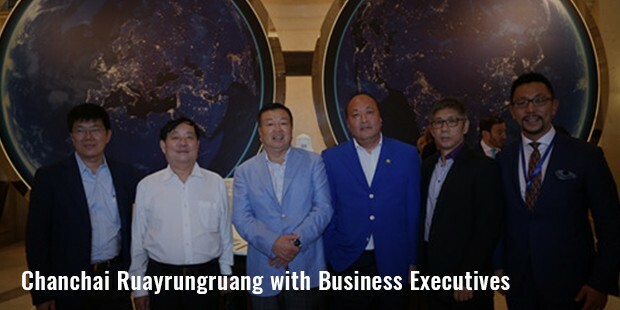 Fostering a strong sense of social responsibility while bringing forth the wisdom and the hard work of everyone in the Reignwood Group, the company has shown illustrious success under Chanchai Ruayrungruang’s leadership. Hard work, honesty, and connection with customers – these are the top lessons to be learnt from the world’s most successful businessmen, and Chanchai is another shining star in the list of modern day business legends.